We are developing next-generation photon beam detectors for Synchrotron Radiation and Free Electron Lasers. Two research lines are being explored. 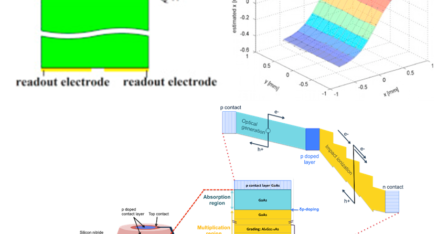 In0.75Ga0.25As-based pixelated detectors allow fast and efficient beam position monitoring (top image). 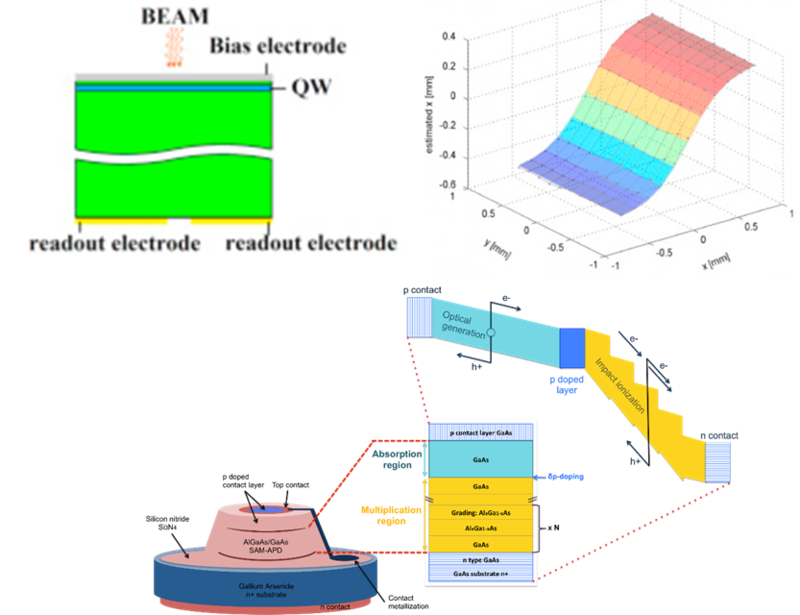 GaAs/AlGaAs-based avalanche photodiodes with engineered multiplication region can provide fast, radiation-resistant beam detectors, especially in the high energy range (bottom image).